The design of a new currency, passport or security document is so much more than the physical object itself. It is significant and symbolic, evocative and iconic — a cultural statement that respects a proud heritage while looking to the future. It is identity, integrity, a promise. At De La Rue, our integrated approach, unrivalled technical know-how and supreme attention to detail makes us an ideal partner, guiding and collaborating with you every step of the way. Delivering on varied and complex briefs, we continually produce the award-winning designs that have established us as leaders in the field. 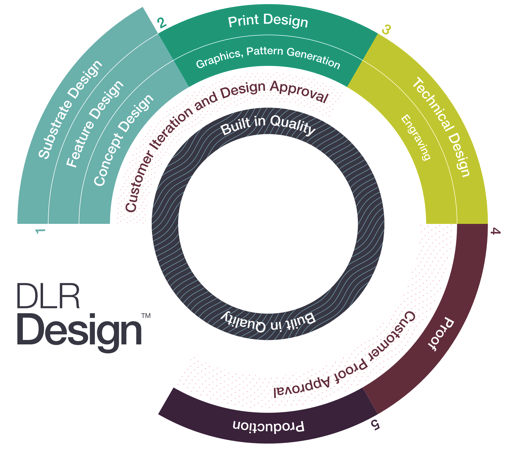 DLR Design™ is a passionate, close-knit team of creative specialists and technical experts. Our complete, end-to-end design service produces intelligent, innovative, evidence-led solutions that are aesthetically pleasing, intrinsically secure and entirely bespoke, however complex your requirements. We work in close collaboration with you to realise your unique vision; an entire service tailored to your needs, with an integrated and immersive approach enabling engagement throughout the entire design journey. A new approach to passport design style, using illustrated spreads with a strong narrative based on the four seasons, runs throughout the book. Complex screen-ruling takes its inspiration from the page them to define the detail that sits within the unique pattern workings. All of this works alongside the integrated UV-print to reveal hidden features of sunbeams and extensions of the printed design. 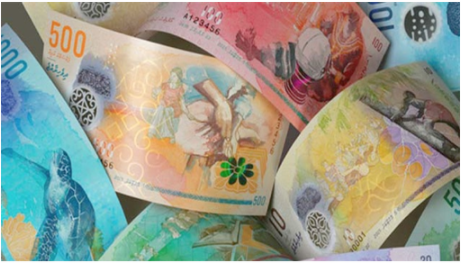 In 2016 the Maldives Monetary Authority selected De La Rue's Safeguard® polymer substrate for the first entirely new series of banknotes to be issued in the Maldives for over 30 years. 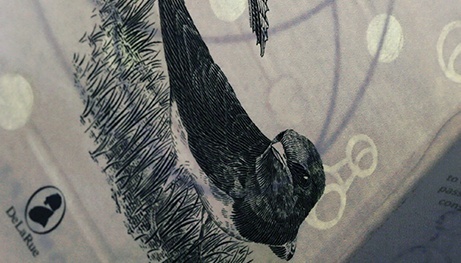 Abdullah Nashaath, a local artist, won a competition to design the new family of seven banknotes and worked alongside De La Rue's team of designers to ensure an authentic Maldivian look. Proving the legitimacy of products is a key challenge for modern businesses faced with ever more sophisticated counterfeiting operations. 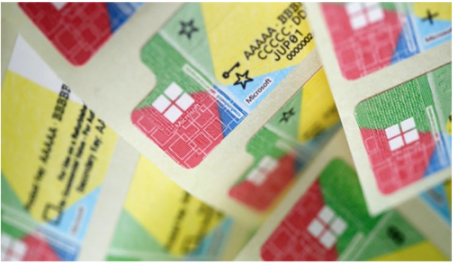 For the last 20 years, De La Rue has been helping Microsoft ensure customers get the genuine products through the creation of secure label designs, which combine attractive visuals with state-of-the-art security features. Once a label is in circulation, De La Rue support Microsoft in tracking it around the world - helping maintain product integrity.